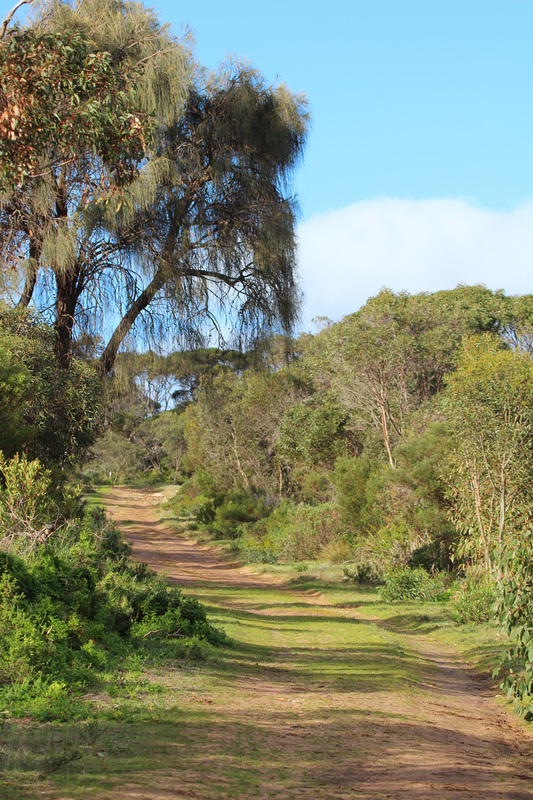 I am in the little parking area at the Newland Head Conservation Park, just a twenty minute drive from Victor Harbor. 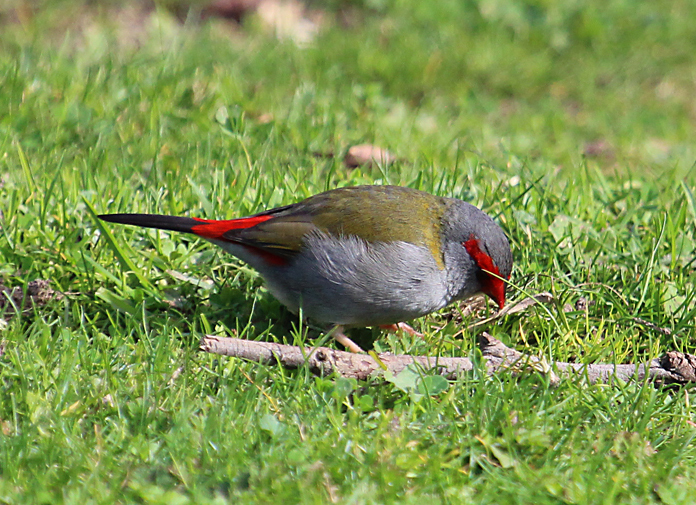 On the grassy verge near a stand of pink gums, a small group of red-browed finches are feeding on seeds. 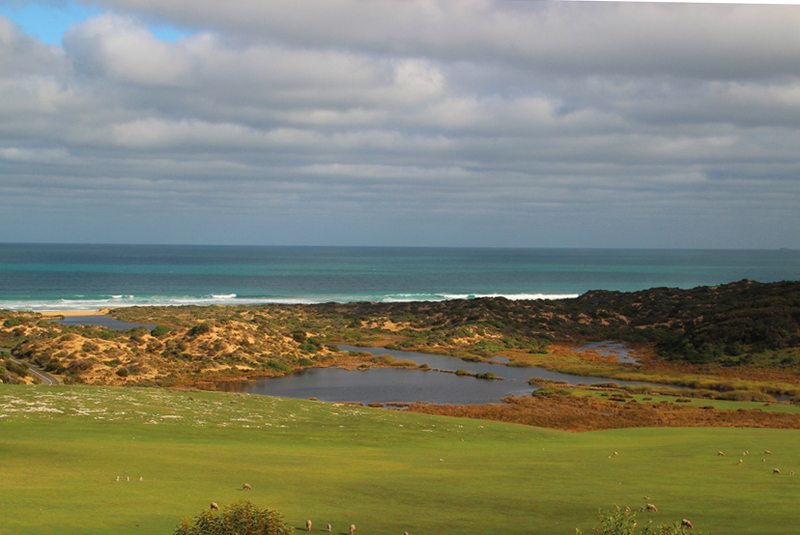 It is a wonderful way to start my late afternoon exploration of this diverse coastal park. A series of trails branch out from this sheltered camp ground. 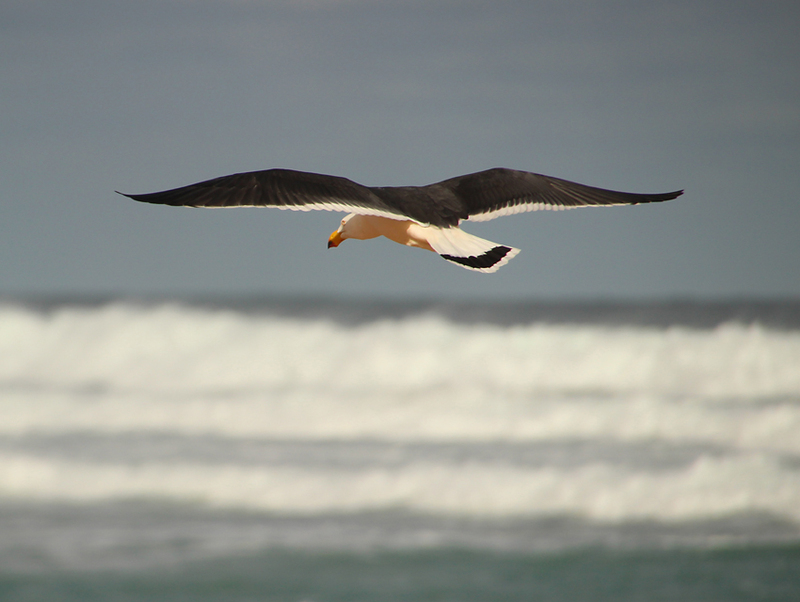 They wind through the scrub providing access to the beach and rock climbing areas or simply wind through the scrub that lies behind a series of coastal dunes. I choose a trail that runs parallel to the dunes. It is dominated by coastal acacia bushes where a variety of small birds flit amongst the foliage chattering and calling to each other. I fire off a few shots in the low light conditions to try and identify the species. 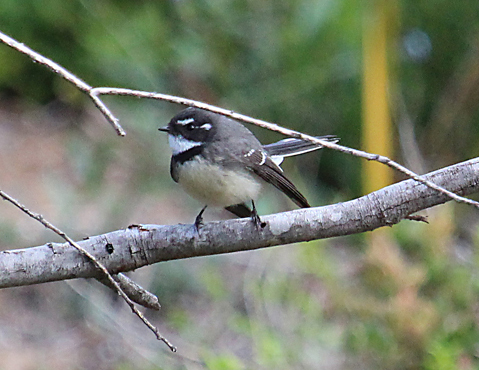 One bird is definitely a grey fantail the other is bouncing on the thin branches as it feeds on seed pods. Perhaps it is a robin or thornbill species; hard to tell but that is the challenge of wildlife photography in these conditions. 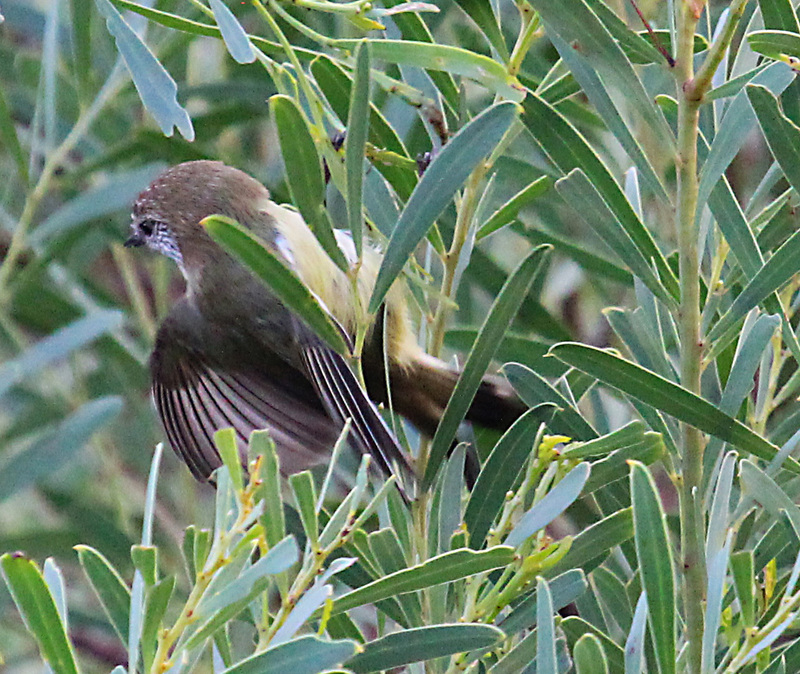 What is it a thornbill or a robin? From the campground the road descends towards the beach. To the right a seasonal creek spreads into a shallow lake behind a set of dunes that are continually eroded by wind and water. I pull the car into a siding and walk along the edge of the lake. The wildlife here is quite prolific. A pair of kangaroos bound out of the scrub in front of me and there are black swans, coots and several duck species on the water. 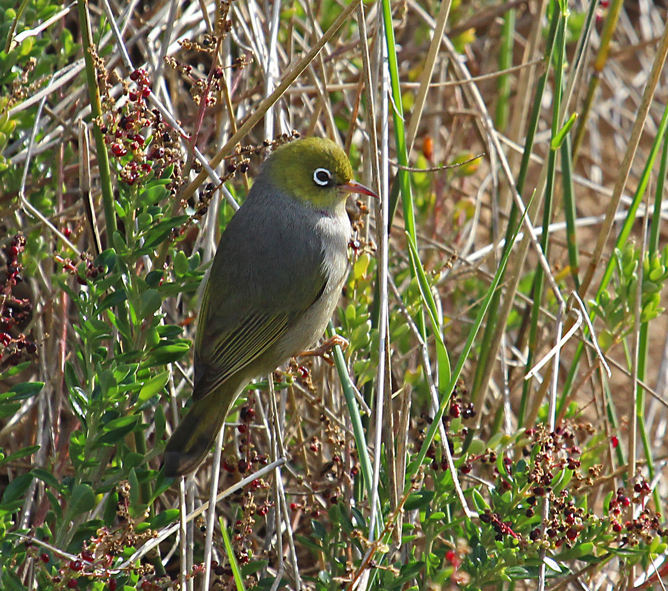 In one small bush, growing amongst the long grass, silvereyes are feeding on berries. As I approach the beach I can hear the roar of the surf over the car’s motor. 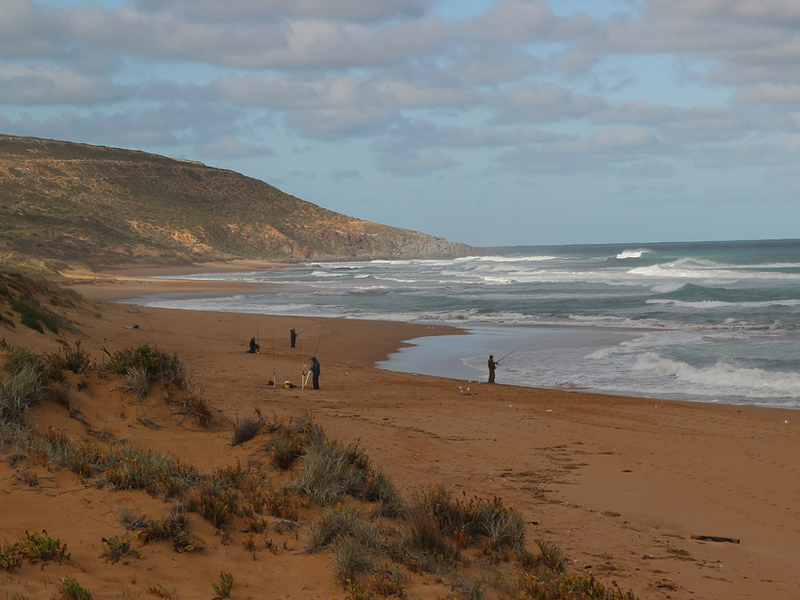 This is a classic southern beach with white water breaks that stretch several hundred metres out to sea. In the afternoon light the sand is pale gold contrasting the darker figures of anglers casting for salmon from the beach. There are silver gulls crowding around their bait buckets and several of their larger cousins, Pacific gulls, are patrolling the edge of the surf. 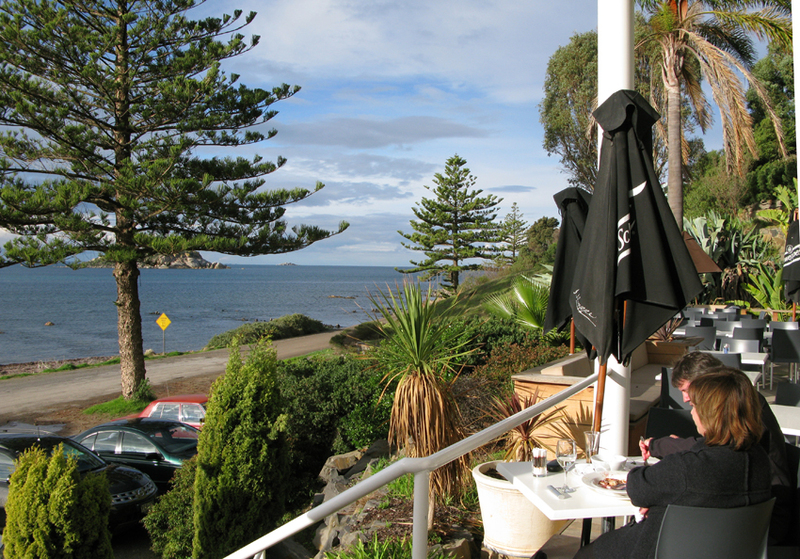 It has been a rewarding afternoon at ‘Waits’ and I have enough time to drive back to Victor Harbor and enjoy an afternoon meal sitting on the decking of the Whalers restaurant enjoying a wonderful view of Encounter Bay. And, at this time of year, even the chance of a whale sighting. I hope you take the time to enjoy this lovely bit of our coastline sometime in the near future.